WASHINGTON, D.C. — The Federal Communications Commission (FCC) today voted 3-2 in favor of a proposal by FCC Chairman Ajit Pai to repeal the commission’s net neutrality rules, which required internet service providers to treat all online content and services equally. Consumers Union, the policy and mobilization division of Consumer Reports, said the rules were critical to preserving the open and competitive nature of the internet for all consumers. Jonathan Schwantes, senior policy counsel for Consumers Union, said, “This is a big loss for consumers, and it will inevitably take the battle over net neutrality back to the courtroom and Congress. The majority of Americans have said they want these strong standards, but internet service providers have been trying to get rid of the rules since the day they were approved. With the change in leadership at the FCC, internet service providers scored a victory today. 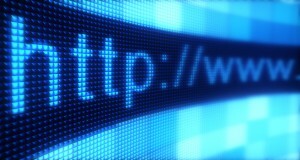 “Without these rules, your internet provider can charge a toll for any website it chooses. The biggest companies can most likely afford these new costs, but smaller companies could be left out in the cold, and that fundamentally changes the level playing field of the internet as we’ve known it. When companies introduce new tolls to a system like internet service, history has shown it typically leads to higher prices for consumers,” Schwantes said. The FCC’s Pai maintains that net neutrality will be preserved because the Federal Trade Commission (FTC) can step in to protect consumers from any bad acts that internet providers might commit in the future. But Jessica Rich, the vice president of consumer policy and mobilization for Consumer Reports and former director of the FTC’s Bureau of Consumer Protection, said in a recent Washington Post op-ed that there are fundamental questions about the FTC’s authority over internet providers. A long-running legal dispute between the FTC and AT&T could lead to a court ruling that strips the FTC of its jurisdiction over any services offered by a telecom company. A recent nationally-representative survey by Consumer Reports said the majority of Americans support net neutrality rules to prevent internet service providers from blocking or discriminating against lawful content on the internet. The CR survey found 57 percent of Americans supported the net neutrality rules, while 16 percent opposed them and 27 percent did not state an opinion. The survey showed strong opposition to practices by providers that were prohibited by the rules, such as the 67 percent who disagreed that providers should be able to choose which websites, apps or streaming services customers can access. The Consumer Reports phone survey was fielded by ORC using a nationally-representative sample. The survey was conducted from July 20-23, 2017. The study was conducted using two probability samples: randomly selected landline telephone numbers and randomly selected mobile (cell) telephone numbers. The combined sample consists of 1,005 adults (18 years old and older) living in the continental United States. Of the 1,005 interviews, 504 were from the landline sample and 501 from the cell phone sample. The margin of error for the sample of 1,005 is +/- 3.1% at the 95% confidence level. Final data is weighted by age, gender, region, race/ethnicity and education to be proportionally representative of the U.S. adult population. Consumer Reports is the world’s largest independent product-testing organization. Using its more than 50 labs, auto test center, and survey research center, the nonprofit rates thousands of products and services annually. Founded in 1936, Consumer Reports has over 7 million subscribers to its magazine, website, and other publications. Its policy and mobilization division, Consumers Union, works for health reform, food and product safety, financial reform, and other consumer issues in Washington, D.C., the states, and in the marketplace.